Are you seriously considering going for fashion photography? Do you have all the information with you before you decide to do this? 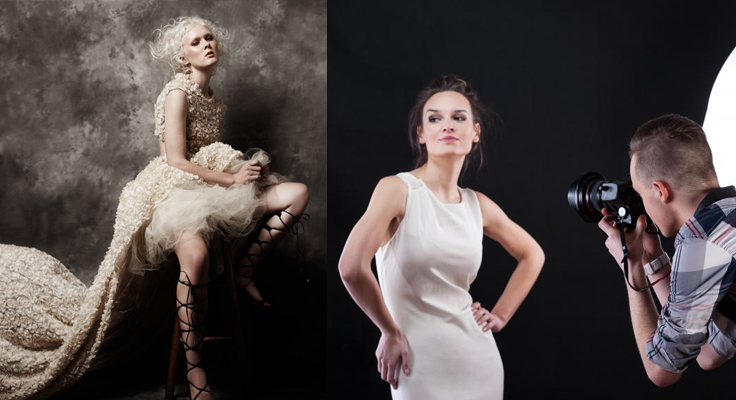 Wondering what you might need to know in order to become a fashion photographer? The first thing that you need to understand is that you have to get into the best school of photography in Delhi like Pixel Photographyand train yourself in this field. You need to know about fashion photography, and what exactly it is and the best way to do that is by going through a proper training for a stipulated period of time. It is all about disciplining the mind and getting a proper idea about the field before you finally decide to give everything into it. The other thing that you should know when it comes to fashion photography is that it is not at all as glamorous as it looks. The hours are tiring, and the clients are very demanding. Be prepared to be working under a huge pressure and daring deadlines. Hence, this is a line of work that will come with a lot of pressure. Decide whether or not you can function creatively under pressure. If need be, train yourself to do that by taking up assignments on your own. One very important part of the training to become a fashion photographer is to do part-time assisting jobs. Make a list of all the fashion photographers that you admire and approach them to work voluntarily as their assistant. Be prepared to face rejection, but you will have to keep on trying. If you are wondering how this will help you, then you need to be aware of what it is like to be working when in this field, and this is the best practical experience that you will ever get. Hence you need to do that as much as possible; plus it looks really good on your CV! Another thing that you have to do is make a compilation of your pictures. Arrange for a photo-shoot, just like models do for head shots, and then, create your own picture portfolio so that you may carry it to job interviews. Make sure have both hard and soft copies. Passing out from photography institute does not always mean that you will land up with a job straightaway. You might have to wait and struggle. You will need to have a lot of patience, and you will need to engage in odd jobs now and again to keep on earning. But do make sure that your focus is absolutely clear. These are some basic things that you have to be ready to do if you are aspiring fashion photographer.